There is a common perception about alcohol—that drinking it can actually help you relieve stress. Is there any truth to this? According to science, the answer is… not really. While drinking alcohol in some situations can mitigate stress, by and large it just makes things worse. For one thing, getting drunk is not a constructive strategy for ongoing stress management! 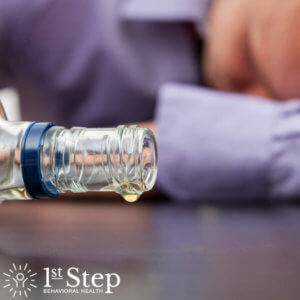 Additionally, metabolizing the effects of alcohol actually causes your body to expend more energy and experience more stress—even if you feel relaxed during the process. Practice self-care; eat regular, nutritious meals and make sure you get sufficient sleep at night. Take breaks! Walk away from stressful situations, at least long enough to regain your composure a bit. Talk to other people. Simply verbalizing your stress can make a big difference. Do something physical! Get outside or go to the gym. Go for a walk, a jog, a run, a bike ride, or a swim. Do something creative. Give yourself an outlet—whether through drawing, painting, journaling, playing an instrument, or singing. If you feel like your stress is extreme or pervasive, think about seeing a therapist or a counselor to talk through your problems and develop some strategies. There are plenty of ways to ease stress—plenty of ways that don’t involve alcohol. Make sure you learn some of these strategies as you keep making progress toward addiction recovery. Contact First Step to talk to someone about what’s stressing you out. What’s your top tip for stress management? Share on Facebook!